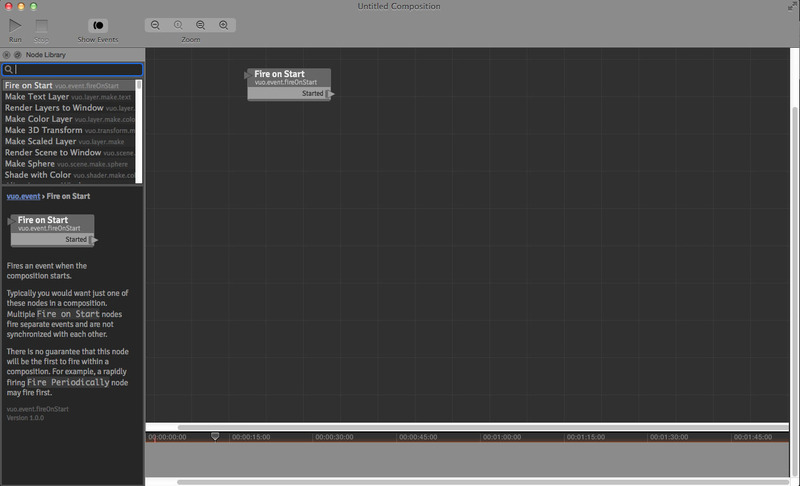 Either a universal UI playhead in protocol mode that controls playhead time- or a plugin that generates a UI at the bottom of the Vuo window. To be used in collaboration with Keyframing and Bezier tools. (First step towards full featured Vuo as compositing package- which is kind of what Vuo already can do). Amazing plan outline team Vuo!! !